Take any training program — from operations, quality, safety or even human resources — and there’s a good chance those lessons can be applied to sanitation. Let’s explore the critical moment known as the golden millisecond training (GMT) for personal safety. This moment covers the risks associated when a lack of focus during everyday activities turns into a split-second decision and a potentially dangerous situation ensues that could affect personal safety — hands, arms, legs or life. The golden moment represents the opportunity to avoid injuries. Personal safety is applicable in everything we do, whether it’s at home, at work or on vacation. GMT for personal safety involves developing habits that protect everyone. In the context of food production, we talk about practices that ensure safe food for family members, co-workers and friends. Likewise, in sanitation, routine tasks, if not handled correctly, could cause a food safety concern for consumers, ultimately creating a health issue. Sometimes, a split-second decision to take a shortcut causes a problem. We must routinely do what we know is correct in both personal and food safety. Unexpected events occur each day that take us by surprise. Even a simple spill left on the floor can pose a risk that could be avoided by placing a caution sign and cleaning it up. With regard to food safety, ignoring a roof leak above a product zone or a drain backup without taking appropriate steps to clean it can present risks to consumers. But how much risk is too much? In food safety, we talk about being perfect in what we do to avoid exposing our consumers to unhealthy products. In the context of perfection, if we produce 2 billion portions in a plant and are 99% perfect, we would potentially put 20 million consumers at risk. Even if we were 99.99% perfect, we would expose 200,000 people to food processed in less than optimal conditions. We need to get it right every time. Equally important are follow-up skills. What do we do if we have a suspicion that a system or process may be outside the operating expectations, or when we see data that shows some deviations from what is normal? Before we continue running the process, we must investigate until we are 100% sure no failure occurred that could cause a food safety risk. When we make that decision, it could be the GMT of food safety. When we have data or a suspicion that something does not look, smell or feel right, we should investigate until we find and correct the issue. There must be no alternatives to this process. 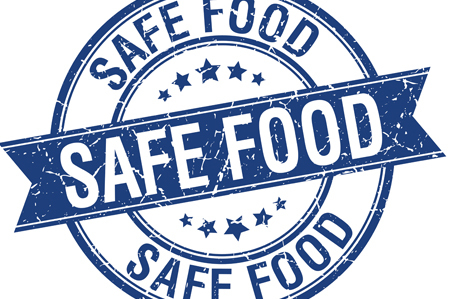 The link between personal safety and food safety can be a compelling approach to training. In the end, decisions we make, especially the split-second ones, often make a world of difference in personal and food safety. When these decisions evolve and become the standard practice, we have the golden minutes, days and weeks of food safety. The golden weeks of food safety involve a waiting game, hoping for the best, but the inevitable could occur and result in termination of production with reported consumer illnesses or death, regulatory citations, recalls and turmoil for all involved. The lament at that point is “If only…” this would not have happened. In a situation like this, golden is defined as the opportunity (with knowledge and the right culture) to identify and change the course of history at risk points, thereby preventing physical harm from an accident or illness or death from unsafe food. Please go for the gold today.